The Heavy Duty Utility Cart by Suncast Commercial is designed and engineered to be the toughest and most versatile cart on the market. 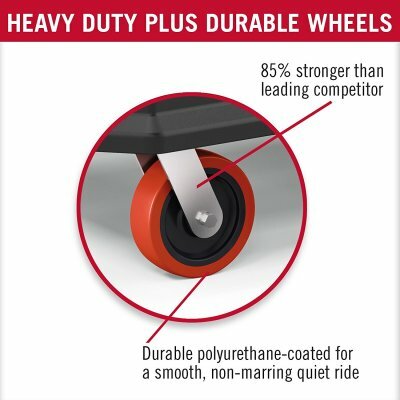 Available in 2 sizes with a 500 pound capacity for each. 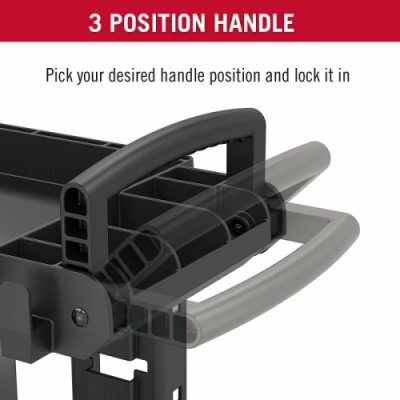 The handle can be fixed in 3 different positions during assembly, the flat option allows for turning the cart upside down for transit or holding large sheet goods while the 45 or 90 degree positions improve ergonomics if desired. 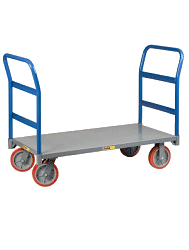 The utility rail is great for storage of all kinds. 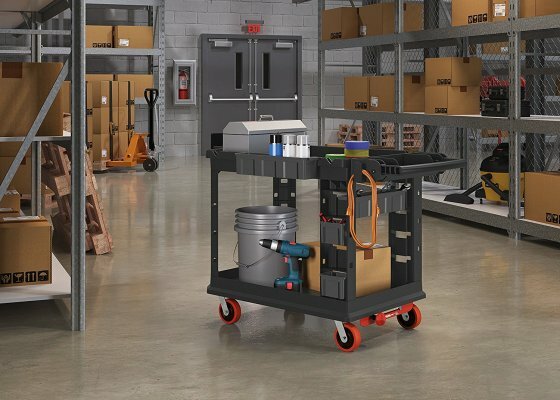 From hand tools, power tools, spray bottles and other tie downs, this rail gives you the freedom to outfit your cart to specific needs. The top conduit notches keep your conduit in place while cutting or drilling and holes through the vertical legs allow for you to secure spools of wire on all three sides for quick and easy access. 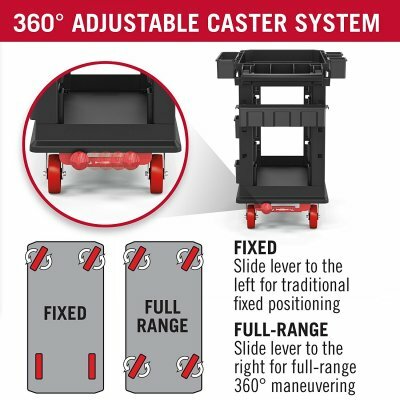 360 degree adjustable caster system changes your fixed front wheels to swivel for greater maneuverability. 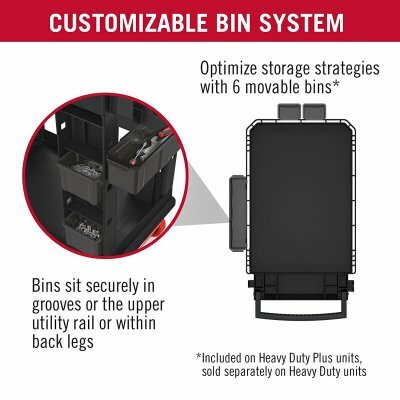 Includes 6 customizable bins that can be stored in the back legs of the cart or moved to the Utility Rail for quick access. ride. Over-engineered caster housing for lateral strength. 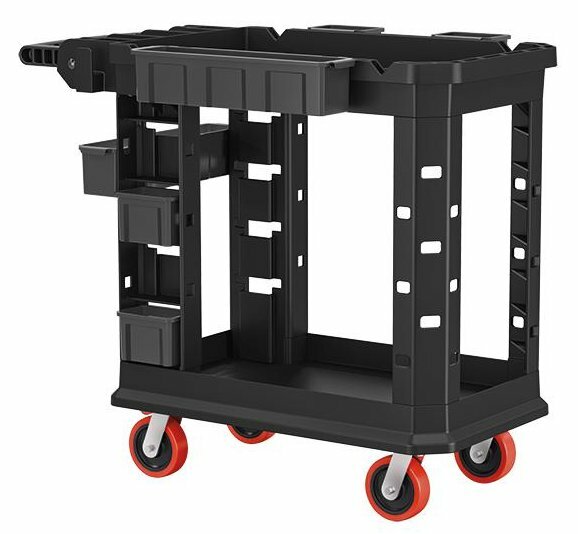 New utility side rail lines the entire upper shelf and provides more storage solutions for your equipment and tools. Ergonomic handle can adjust to 3 different positions. Cord hooks to keep cords and ropes organized.